Definitely worth the watch. One of the best webseries to come out this year. 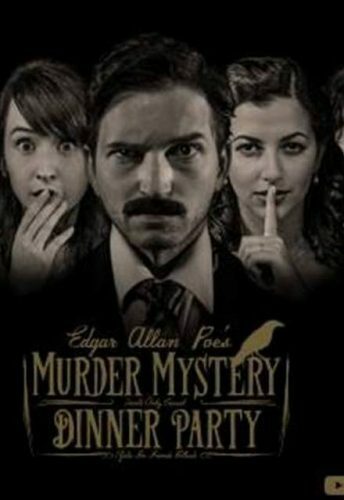 A few months ago Shipwrecked Comedy started airing on their YouTube channel the above mentioned Murder Mystery Dinner Party. Eleven webisodes of authors getting brutally murdered, with a strangely comedic twist. Personally, I was late to the party – some pun intended – a bit more than it’s usually fashionable, however once I got there, I devoured every episode in less than three hours. Fans of classical literature are in for a treat, which is not to say that non avid readers will be disappointed (though some literary puns might just pass them by). 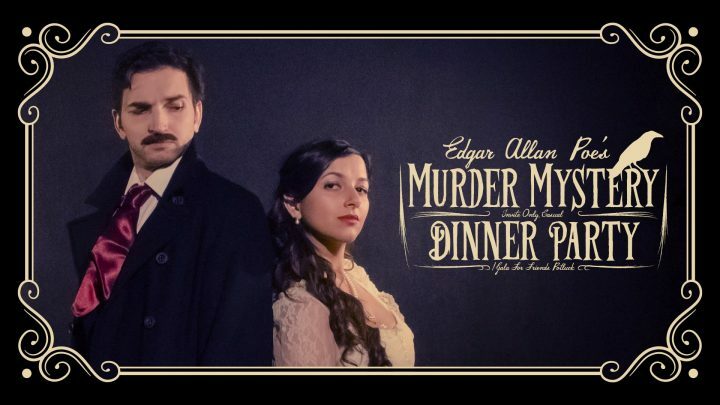 The series – short, but somehow perfectly contained – was funded through a Kickstarter campaign and chronicles Edgar Allan Poe’s attempts at impressing the lovely Annabel Lee (Mary Kate Wiles) by throwing a dinner party for all of his friends. The whole thing turns murderous and the plotted mystery comes to life, more or less. With the murder that sets the whole plot into motion, everyone becomes a suspect, each episode serving at moving the characters up or down on the list, however, the killer is not so easily found and the plot thickens. But before you write the series off as some procedural, please keep in mind this comedy is the gift that keeps on giving. There are some cameos as well from famous authors, however anachronistic they might be – because clearly the invite list above is perfectly compliant with each author’s historical period. The series is a perfect blend of comedy, a dash of drama and more puns than should be allowed in the span of a 10-15 minute long episodes, however it works. Each actor is on their A game and they manage to keep a straight face, despite the silliness that ensues on the screen. I have seen the blooper reel, I know it was an almost impossible task. Have a look at the trailer below and do yourself a favour – watch the whole thing. It will be two hours well spent. If you are also curious about the process that went into making the series, check out the prologues as well. It will simply add another layer to the already amazing series.